This product is designed to prevent the brake levers from hitting the top tube if the bike falls over, or as a result of dropping the bike in low speed incidents. 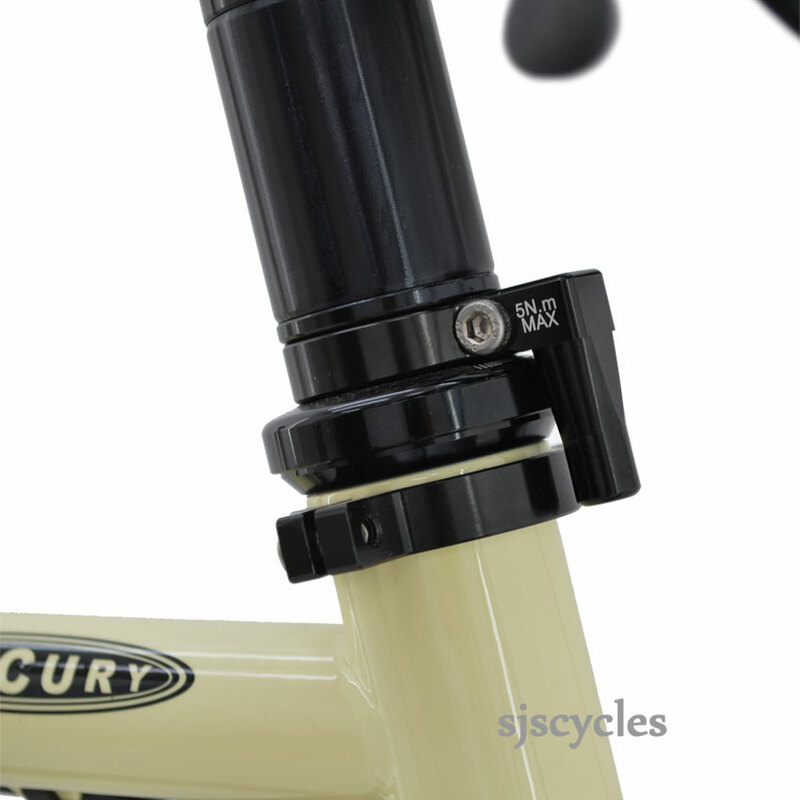 The Lock Limiter will NOT prevent the bars from hitting the top tube, as a result of more serious incidents. The lock limiter will fit all 37mm head tubes, provided there is at least 10mm of parallel head tube standing above the joint with the top tube. The 2 piece design means that headset removal is not necessary. The striker will fit all 1 1/8" steerer tubes, provided that 10mm of spacers can be removed to make room for it. Fits great on a Thorn Nomad Mk2 after filing off a circle in the shape of the top tube and the weld. It delivers greater stability when parking the bike. It's a simple solution for preventing your bike to be unstable. Will this fit a BMC Roadmachine? As far as we can see there is no way of fitting this to a Roadmachine.